So if you live in England or Wales, you’ll probably take GCSEs (General Certificate of Secondary Education) at the end of Year 11 (10th grade in American), which is essentially equivalent to a High School Diploma. The average person sits exams in between 6 and 10 different subjects, which have to include Maths and English Language. 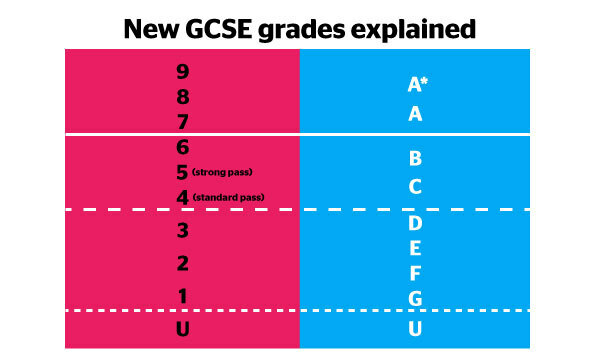 These used to be (literally until this year, so even I didn’t deal with this) graded between A* (a grade higher than A) and G, with C being a pass but the changed it to numbers between 9 (a grade equivalent to higher than an A*) and 1, with a 4/5 being a pass(?). People who do so horribly bad can have the honour of receiving a ‘U’ (personaly I have never encountered one myself, but I’m told they exist). You sit them in May/June, get a really long summer holiday, and then you find out your results on a Thursday in late August, a couple weeks before the beginning of the school year. So what do these have to do with applying to uni? Well, no one’s really entirely sure. Some claim that you need 11 A*s to even think about applying for a competitive course like medicine or literally anything at Oxbridge, but there are stories of people with a mix of only six or seven As and Bs that got into Cambridge and Oxford, no problem. The general rule seems to be that getting five Bs will probably not create any problems when applying to even the more prestigeous universities (except Oxbridge, that’s another game entirely). If you actually want to go to university, you first have to go to college and yes, they are different things (university is always university, school is always school and college is either school or college, never uni). Anyway, this is way longer than expected so I guess I’ll talk about that tomorrow.